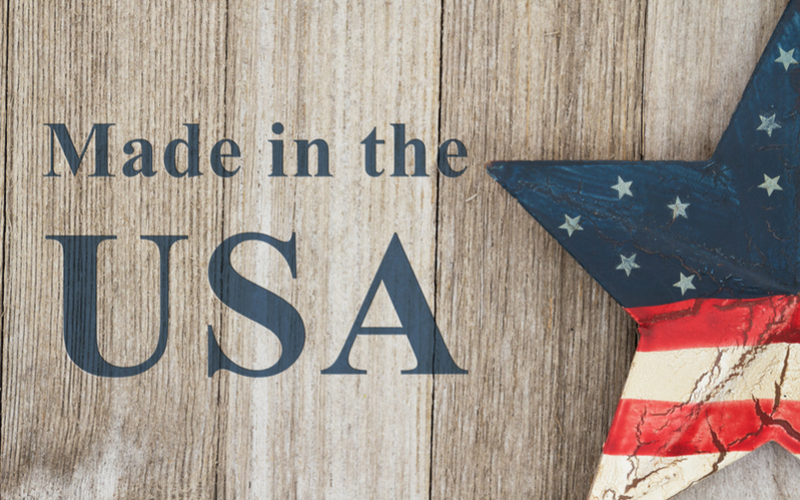 There’s a reason we choose to make TerraCast Products right here in the USA, actually there are several reasons. For one, it gives us better oversight of the production process, allowing us to produce the highest quality products possible. Secondly, it reduces the strain on the environment by decreasing the distance products must travel and reducing gas emissions. Thirdly, it is the right thing to do in terms of supporting our local economy and providing jobs to American workers. Need more reasons to buy products made in America? In 1960, less than 8% of the average Americans’ purchases were made outside of the US. Today, that number has drastically increased to 60%. Plus, since 2001, over 56,000 factories have vanished from America, popping up in other places like China. As we lose more manufacturing facilities, we also lose status as a manufacturing superpower. A product labeled “made in the USA,” as defined by the Federal Trade Commission, is any product that is made “all or virtually all” right here in the USA. Decades ago, over 19 million people were employed by US factories. Today, that number is down closer to 12 million people employed by factory jobs. A loss of factory jobs equates to a loss of jobs in general, and that’s not good for our local economy. Keep in mind, one factory job is equivalent to nearly 2 jobs because there are other people hired to keep up with the demand of the factory; such as truckers, loggers, etc. All in all, manufacturing jobs provide a lot of employment opportunity. Manufacturing drives innovation, and who doesn’t want to be a world leader in innovation? We can come up with more effective ways to create things while using less energy and resources, which helps the planet as a whole. Even with so many manufacturing jobs lost overseas, manufacturing remains the leading industry and the largest economic sector in the US. As of 2016, manufacturing brought in $5.3 trillion to the American economy, making up 1/3 of our country’s GDP (gross domestic product). The real estate and financing sector fall behind manufacturing in terms of total gross output. In addition, manufacturing makes up a larger portion of the economy than a combination of all 6 of the smallest sectors (mining, utilities, transportation, hospitality, construction, accommodation). Manufacturing workers once made up over 20% of the labor force. This decline in jobs isn’t just because we have stopped manufacturing as many goods here, it’s also because manufacturing has continued to improve and become more efficient. Thus, requiring fewer workers. Wisconsin and Indiana remain the leading states for manufacturing, followed closely by Iowa. USA made products reduce the toll on the environment because they do not require the same long journey by aircraft or boat to get here. Many items are lost at sea each year after falling from shipping containers, this only serves to pollute our oceans. Plus, in the US we have stricter laws to protect the environment than other countries. For instance, cheaply made products overseas may result in dumping of toxic materials into waterways. This wouldn’t fly in the US where higher regulation policies are the norm. Should You Only Buy Products Made in the USA? It’s unrealistic to try and buy everything made in the USA. There is some need for foreign bought goods. Certain products are more important to buy in the states than others. For instance, if your iPhone was made in the USA, it is estimated that it would cost more than double. Not to mention, we are a global economy now and so the stability of economies in other countries is important to the stability of the US economy. Instead of boycotting products made elsewhere, it’s important to consider all options and focus on buying as much American made goods as you can. 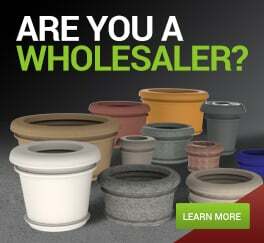 From planters to our LED lighting fixtures, TerraCast Products are made in the USA. We rely on sustainable materials and manufacturing processes to create long lasting products that require little to no maintenance. There’s a reason our planters are housed in Times Square, and so many cities around the US rely on our lighting fixtures and site furnishings. Quality and commitment are integral to everything we do.